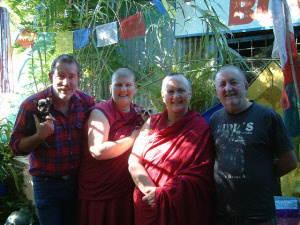 We at A Bears Old Wares & Buddha Shop respect, support and promote fair trade principles in all aspects of our business. We always try to source products from suppliers who purchase products from local artists, communities and craftsmen. We believe that producers should be representative of the religions and or communities of the area and both male and female craftsmen should be employed through the various stages of production. We also believe that education is critical to any community. As such, child labor is not tolerated. They aim to ensure that products are made from sustainable and legal raw materials through carefully chosen suppliers. Where possible all shipping materials should be recyclable. We respect the environment and recycle and re-use wherever possible.